Expected ship date is November 2018. 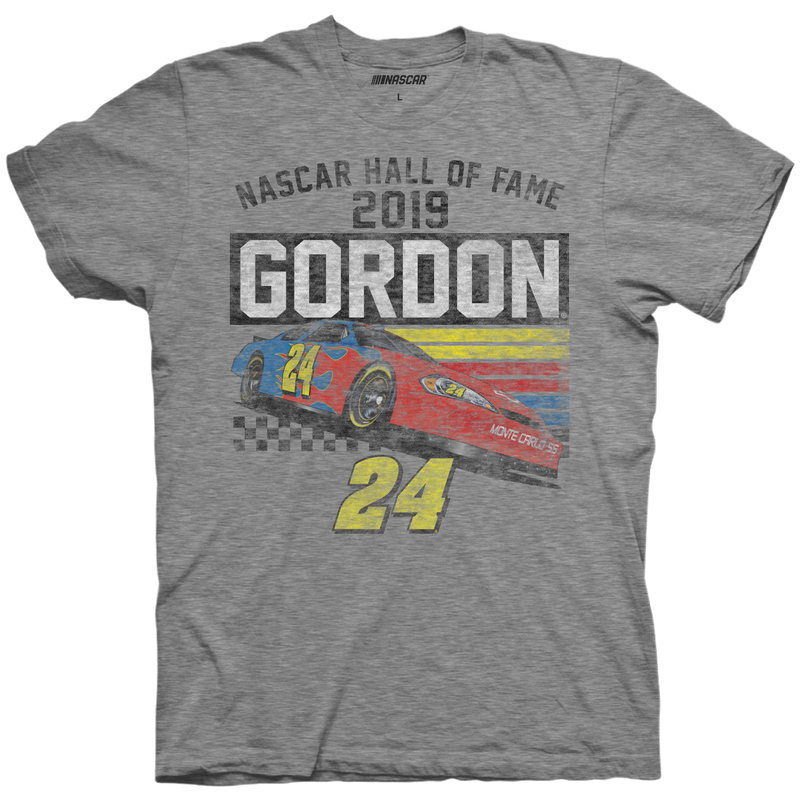 Commemorate Jeff Gordon being inducted into the 2019 NASCAR Hall of Fame Class with this Jeff Gordon Store exclusive t-shirt! 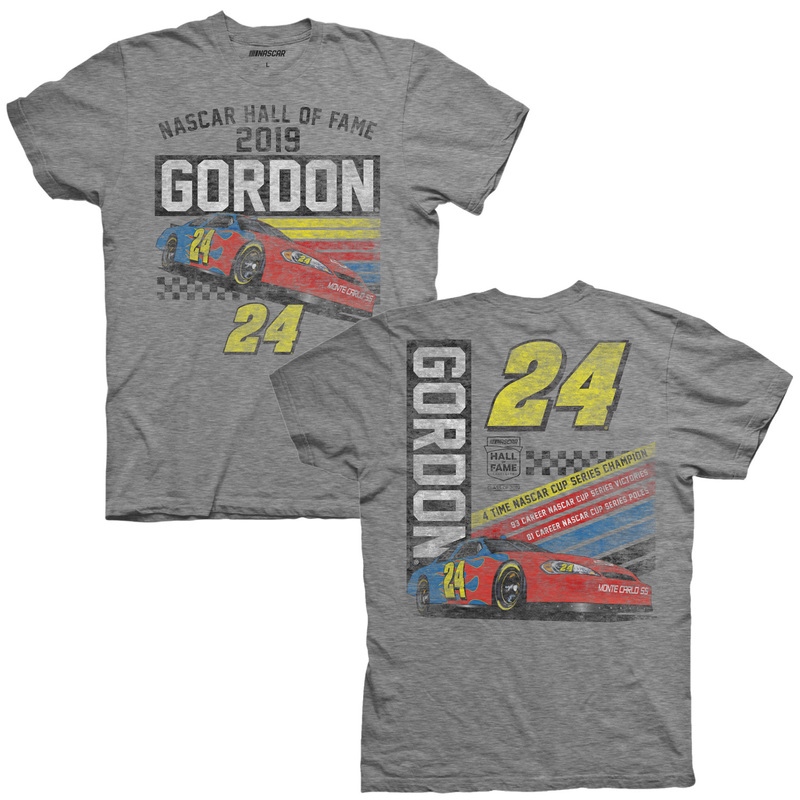 This awesome tee features the iconic #24 fire and flames paint scheme and Jeff’s most notable career stats with a distressed print. He's one of the best. 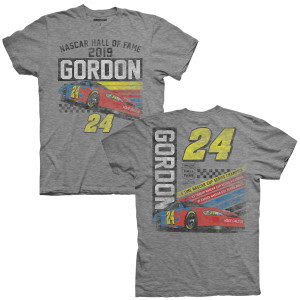 Wonderful person and great family man..
Well deserved induction into the NASCAR Hall of Fame! 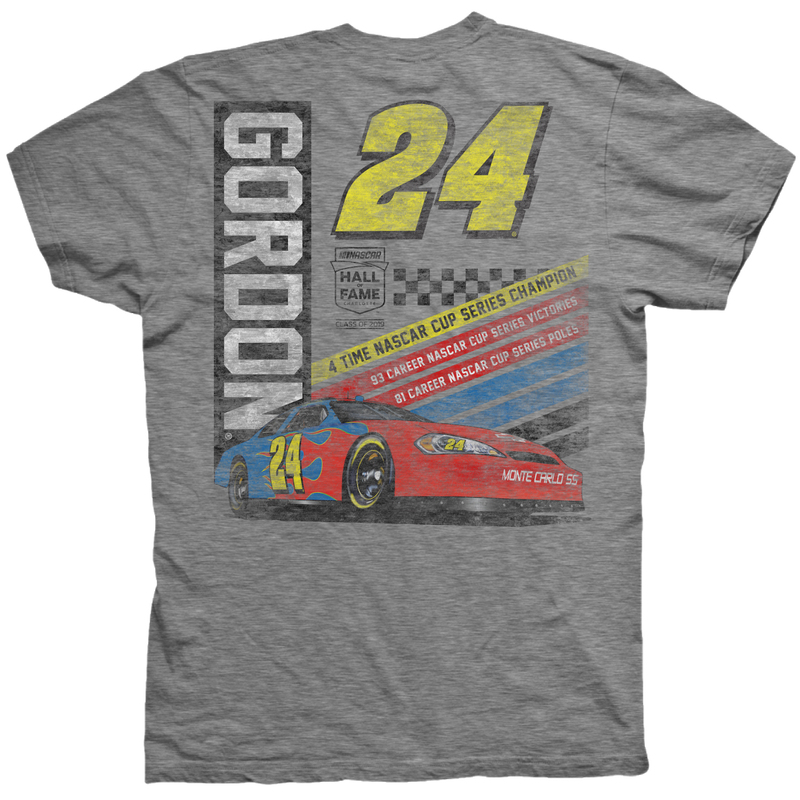 My all time favorite driver. I haven't been able to get into racing since he retired. I miss him racing so much!!! ALWAYS HAVE ALWAYS WILL ADORE JEFF SAW HIS FIRST RACE &amp; EVERY ONE AFTER! Awesome driver. Honor well deserved. 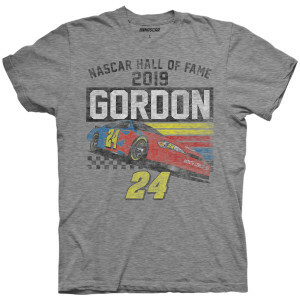 This honor is so well deserved for Jeff. He was a great driver &amp; is an all around wonderful individual.